Madrid is a record city in many ways. We know this because from our company coach rental we move every day through the city and the community. For that reason, we wanted to gather some of the Guinness Record of Madrid that you will surely like to know and share. From 1725! If the walls of this inn in Madrid spoke ... 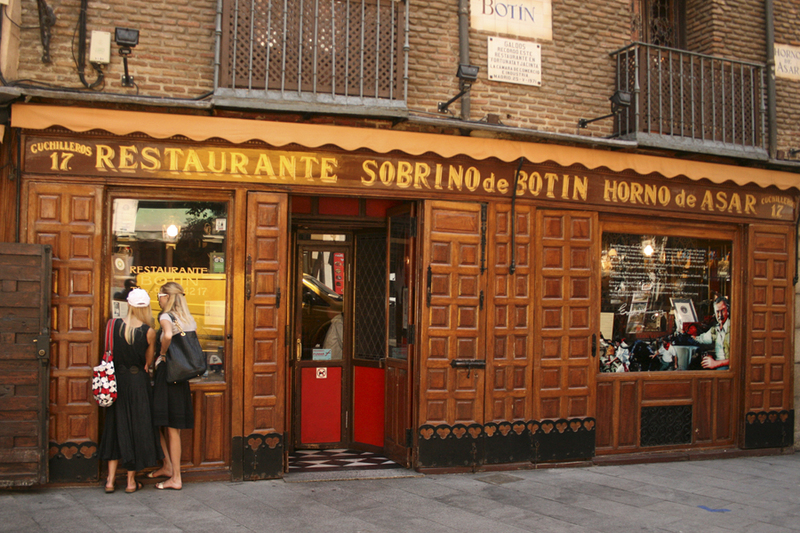 The Sobrino booty restaurant, in the old part of the city, is the oldest restaurant in the world. A place of novel. In fact, Hemingway, Pérez Galdós or Grahman Greene mention it in their works. It just happened. The January 25 of 2019 was registered the first Guinness record of technological field in Spain. Madrid thus becomes the world capital of the code with the largest class of software attended by 585 people in the municipal space La Nave. Big time Another of the Guinness Record of Madrid is the production of the largest advertising canvas made by the Huawei brand on the facade of the Plaza España building. The fabric had a surface area of ​​6.558,57 square meters. We are going with another of the Guinness Record that Madrid has. It happened in 2014. At that time, 737 was able to make a chewing gum balloon at the same time. The company Chupa Chups promoted this act, making it possible. It was held in San Sebastian de los Reyes and 678 players were reunited. The Madrid band Kitai has also made history. The group performed during 24 hours in the capital, last November of 2018, reaching a record never made before by a group in the world. And in this list with some of the Guinness Record of Madrid could not miss the sport Club White. Among other recognitions has the best European club of all time. These are just some of the Official Guinness Records of Madrid, but there are many more ... The longest street, the largest store, the oldest trade ... Every corner of Madrid can hide a new record ready to be discovered. We take you!